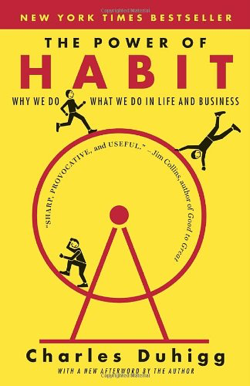 Some time ago I heard a very interesting podcast in which Charles Duhigg, author of The Power of Habit, was interviewed by David Allen, author of Getting Things Done, in an attempt to delve deeper into the intersection between the management of habits and personal productivity. I highly recommend the read of the Duhigg’s book. It explains what science has discovered about habits: why and how they emerge and, more interestingly, how we can create new habits that help us live better or change those that harm us. And not only from an individual perspective but also at the level of organizations and societies. Habits are simple choices we make at certain moments. Then we stop thinking about them, but we continue doing what we once decided. And quite often. Interestingly, sometimes we are not able to remember the reasoning that led us to make the decision that built the habit. These small choices do not seem important by themselves, but the whole of them determines, over time, how you eat, how you talk to your children, how you manage your savings, how you organize your work, whether you exercise or not, etc. These myriad of small details have a major impact on all aspects of your life, from your health to your relationships, and also your productivity. Scientists say that habits appear because your brain is always looking for ways to save effort. When something is turned into a routine, your brain does not make decisions anymore; it relaxes and rests. This is good because you do not have to worry about basic behaviors, such as brushing your teeth. But it is bad when it is a habit you do not want: since the brain is disconnected, the behaviour will emerge automatically over and over again, unless you consciously fight against it. Then a routine is developed, which can be physical, mental or emotional. At the end there is a reward, which helps your brain to remember that behavior in the future. To create a new habit you have to, first, find a simple activation signal, and then, clearly define the reward. For example, putting on your running shoes at the moment you get home after work, may help to create the habit of jogging. The reward could be the satisfaction that exercise produces by itself, or having a beer while watching a TV show that you like. Normally, choosing a signal and setting a reward is not enough. Otherwise it would be quite simple to exercise, eat healthy and get organized productively. What reinforces the signal-routine-reward loop is that there is a craving to get the reward. Sometimes, the fact of associating a signal to a reward makes you build that craving unconsciously. But other times you will have to figure out how to awaken that desire. Habits never disappear. This is good, because you will remember how to ride a bicycle 10 years after your last ride. And it is bad, because you will remember the pleasure of cigarretes 10 years after quitting smoking. The problem is that your brain assimilates habits, but cannot tell which ones are good and which are bad. You cannot eradicate a habit, but you can change it. And the change rule is simple: keeping the same signal and the same reward, you have to replace the routine by another. If you are aware of how your habit works, by identifying the activation signal and the desired reward, you can change the routine. According to the studies reviewed by Duhigg, the last ingredient that helps to convert a modified habit into a permanent behavior is to believe it will work. Skepticism is a bad teammate here. And to believe, it is very important the support of people—groups and communities—who have gone out there.